Some say he has precision skills that can only come from being cast from a mould made from melted parts of an Autobot (that was immediately broken afterwards), some say he is half human half machine, some say he was rebuilt from the parts left after the original T-800 was decommissioned but we say Ben Collins is as dapper as they come and possibly one of the few people on earth that understands vehicles like they are people. 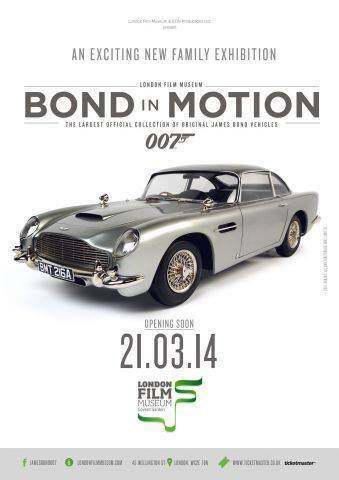 Earlier today I went along to a preview of the Bond in Motion exhibition at the London Film Museum Covent Garden, it's going to take a little while for me to process all of the raw awesomeness of the day but thought I would start by getting this post up first. 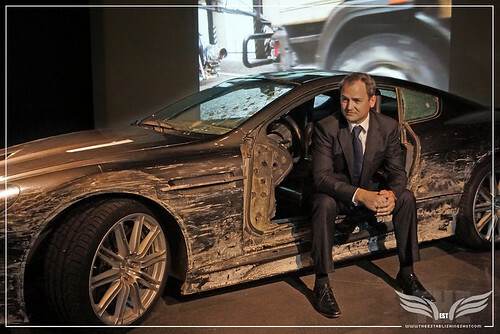 I had the opportunity to have a quick chat with Ben Collins Stunt driver on Casino Royale, Quantum of Solace and Skyfall. Of course for any lover of cars, particularly film cars or advance driving skills will know that Ben Collins is much more than the Stunt Driver on Bond films. Long before he became celebrated as the anonymous and helmeted Top Gear driver known only as The Stig, he was a notable and legitimate racing car driver that competed across the board from Formula Three, Nascar, GT racing and stock car racing. Since Top Gear he has commandeered the cars for their stars on 10 blockbusters including; Quantum of Solace, The Dark Knight Rises, Fast & Furious 6, Skyfall, Jack Ryan: Shadow Recruit , John Carter of Mars (what now? I hear you say, I come back to this later) as well as upcoming features The Amazing Spider-Man 2 and Matthew Vaughn's The Secret Service. 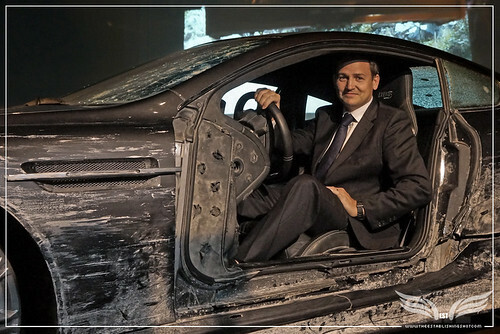 The Establishing Shot: BOND IN MOTION - BEN COLLINS BOND STUNT DRIVER IN THE ASTON MARTIN DBS FROM QUANTUM OF SOLACE @ LONDON FILM MUSEUM COVENT GARDEN, a photo by Craig Grobler on Flickr. ‘As The Stig, Ben was the King of Speed; outpacing F1 World Champions Lewis Hamilton, Jenson Button and Nigel Mansell. In another life, he doubles as James Bond. So you can see why I was so keen to meet and chat with the man who makes fantasies a reality plus he has competed 3 times at Le Mans, regarded as not only the pinnacle of car racing but the most gruelling experience a driver can undergo and has fascinated me since I saw Lee H. Katzin's Steve McQueen starrer Le Mans. BEN CAN YOU TELL ME A LITTLE BIT ABOUT YOUR BACKGROUND, YOU OBVIOUSLY HAVE A VERY DEEP PASSION FOR CARS AND DRIVING, WHERE DID THAT COME FROM? Ben Collins: I suppose it's because my dad was a petrol head and we used to love watching Bond movies and you end up getting a real sense of character of a car when it's being driven well on screen with the likes of Sean Connery, Roger Moore, Timothy Dalton, Pierce Brosnan all those guys and I think genuinely that's probably where it started. Then when I was 18 I got into a racing car for the first time that was life changing so I've been chasing other people around a track ever since and sometimes they chase me. IN PREPARING FOR THIS CHAT WITH YOU I READ THAT YOU RACED AT LE MANS, AS A LAYMAN AND SPECTATOR, FOR ME THAT IS THE ULTIMATE RACE, WHAT IS IT LIKE COMPETING AT LE MANS? 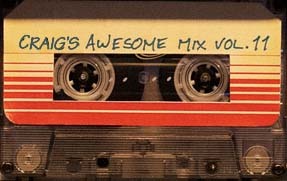 Ben Collins: It is amazing! I am back there this year. I am racing in a GT car this time, which is a first for me at Le Mans and I'll be in a Ferrari 458 (Ferrari 458 Italia GT3) with Ram Racing who won the Le Mans series last year. I love Le Mans it's my favourite race. Well there is also crazy street track near China in Macau (the Guia Circuit) that is very challenging because you have all the elements in one, you get all the seasons in one day, you get the rain, you get the sun, you get day into night, back in to day. So it's pretty brutal mostly for the crews but it is physically very hard as well. WHAT HAS BEEN YOUR MOST CHALLENGING BOND STUNT SO FAR? Ben Collins: The Quantum of Solace chase has to be up there - because it was a very high-speed car chase with very little margin for error. I really enjoyed that. Skyfall was a very different as I was driving a pod car where I was sitting on the roof and that has its own challenges because it doesn't handle like a normal car and you have the responsibility of the actors (Daniel Craig & Naomie Harris) being with you. Which is a different kind of pressure but I enjoyed that and I thought it looked great in the film so I am very proud to have been part of both. BEN I HAVE TO ASK WHAT WAS IT LIKE DRIVING THE TUMBLER? Ben Collins: Ah Batman's Tumbler. It was amazing! The same special effects team that work on Bond were also involved with the spec of it, so it actually drove like a normal car in some ways, except that you had about as much vision as from a tank and it rolled around but it was great. It had a Chevy engine in it was very fast and smooth drive. 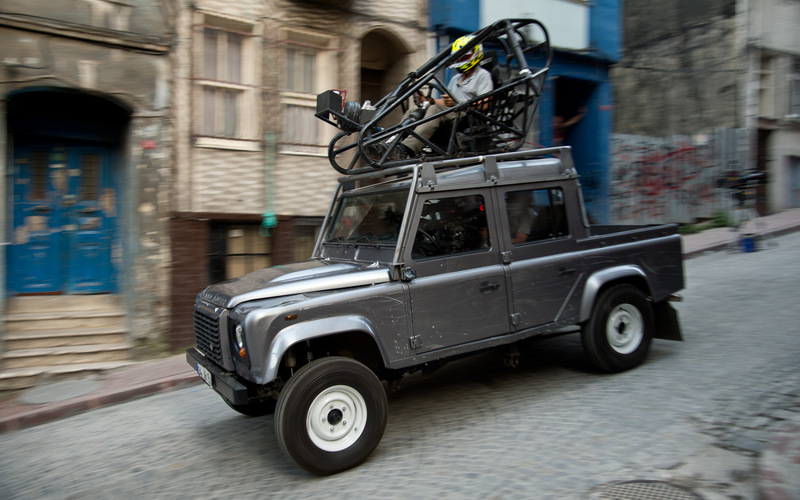 FROM ACROSS JAMES BOND'S FIFTY-YEAR CINEMA LEGACY CAN YOU TELL US YOUR FAVOURITE THREE CAR STUNTS? Ben Collins: Well the one I remember the most, my favourite is the Renault 11 (1983 Renault 11 TXE [X37]) chase from A View to a Kill with the Remy-Julienne team co-ordinating the car chase. It was just wicked because it involves jumping buses, sliding around streets, it gets its roof cut off, it gets cut in half and I've driven half a car before and it's so much fun so I can only imagine how much fun the stunt driver was having. Another one was the chase from For Your Eyes Only - the yellow 2CV (1976 Citroën 2CV 6) jumping over the roads. I just love that. I love those old crappy cars being hammered to the brink of destruction. Craig Grobler: I am surprised you haven't mentioned any of the big ones like the corkscrew from Live and Let Die as pointed out by commanderbond.net member - Simon, the corkscrew was actually in The Man with the Golden Gun. Ben Collins: Yea, that was cool and very smart but I have always thought of those as once offs. Those chases from the 70s had a lot of character. 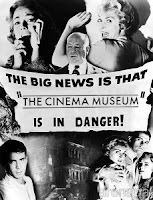 So I suppose I am thinking back to those old days and there are so many to choose from - every Bond film has a good chase. Another cool one was the chase from Die Another Day (2002 Aston Martin Vanquish vs 2002 Jaguar XKR [X100]) where they are sliding across the ice that was a great chase. Also the chase from The Living Daylights (1985 Aston Martin V8 MkIV vs multiple 1977 Lada 1500 s) had some really good moments in it. 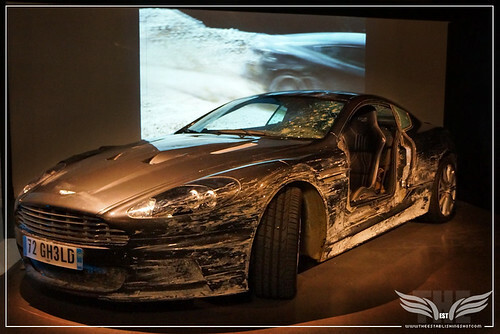 The Establishing Shot: BOND IN MOTION - ASTON MARTIN DBS FROM QUANTUM OF SOLACE @ LONDON FILM MUSEUM COVENT GARDEN, a photo by Craig Grobler on Flickr. 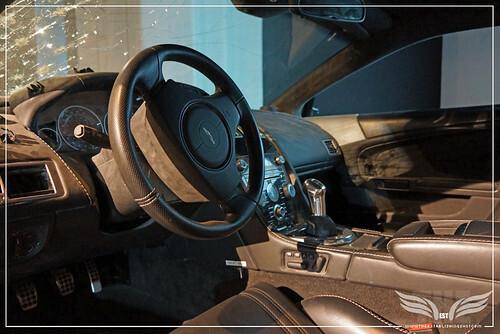 The Establishing Shot: BOND IN MOTION - ASTON MARTIN DBS INTERIOR FROM QUANTUM OF SOLACE @ LONDON FILM MUSEUM COVENT GARDEN, a photo by Craig Grobler on Flickr. IF YOU HAD TO CHOOSE ONE BOND CAR WHICH WOULD IT BE? Ben Collins: For performance I would have to say this one (gesticulate to the Aston Martin DBS from Quantum of Solace behind us) but to take home I would have to say the DB5. FOR MY FINAL QUESTION - BEN EVER SINCE I READ YOUR RESUME IT'S BEEN BUGGING ME - WHAT DID YOU DRIVE IN JOHN CARTER? Ben Collins: I drove the tracking car that altered the arm, basically it was a camera move that resembles a spaceship crashing. It was very quick and you wouldn't have seen me. Ben is the antithesis of shaken or stirred and his cool and calm driving skills are very much in demand as he is widely regarded within esoteric circles to be one of, if not the best precision driver in the world. Whilst we were chatting I realised that I was talking about "Stunts" from the notion that I had in my head that sometimes Ben is strapped in to a rocket and jets over the canyon in an Evel Knievel style - when the reality is quite different and it became very clear that he was a highly specialised technical driver and his head is all about precision (not that Evel Knievel wasn't I'm using hyperbole to strengthen my point) but dispel any thoughts that he is a cold and calculating machine - Ben Collins is very much a real person with talent and mad skills.